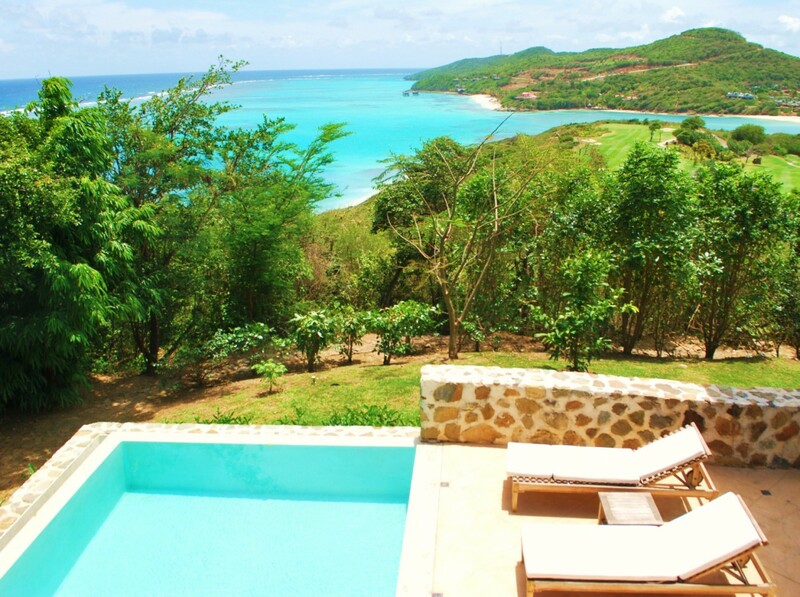 Villa Elsewhere Canouan The Grenadines. 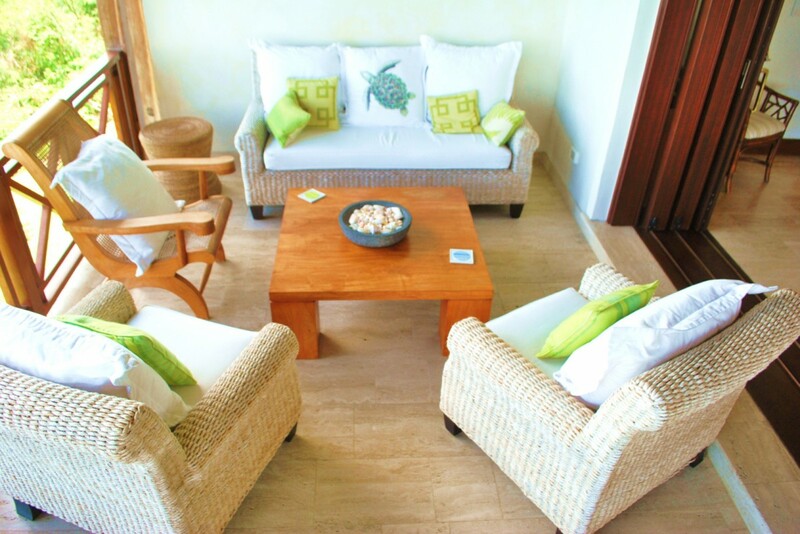 Would you like to enjoy a private paradise during your upcoming visit to The Grenadines? With a stay at the Villa Elsewhere you enjoy your own stone terrace with pool tucked into a lushly landscaped garden setting. Peek through the mature trees and there is the sea just below. Colorful flowers surround you as you wander back to the sun deck or step beneath the shade of the portico and enter your charming two-bedroom hideaway. 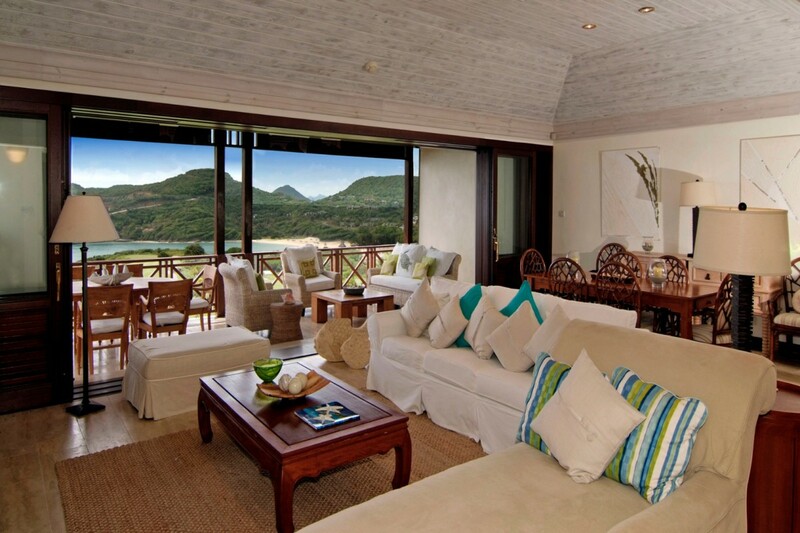 From the great room, you gaze out at unimpeded sea and mountain views and are surrounded by stylish décor. There is an al fresco dining spot just out on the upper level terrace or a formal dining suite nearby. 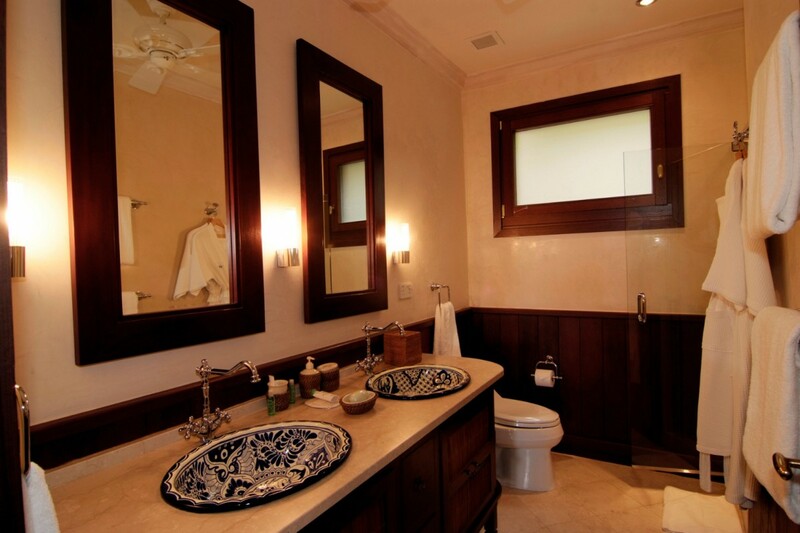 The gourmet kitchen is there whenever you need, and then there are those two luxurious and private bedroom suites. 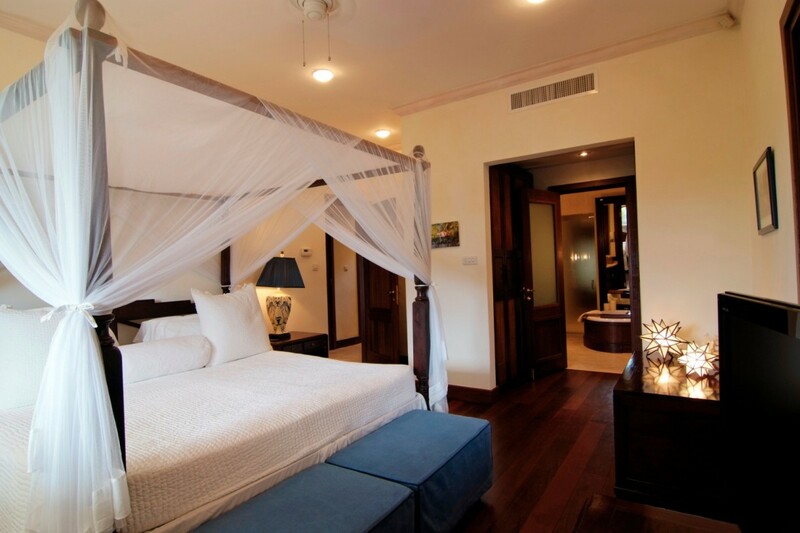 One is a master suite with office, enormous private bath and scenic terrace. 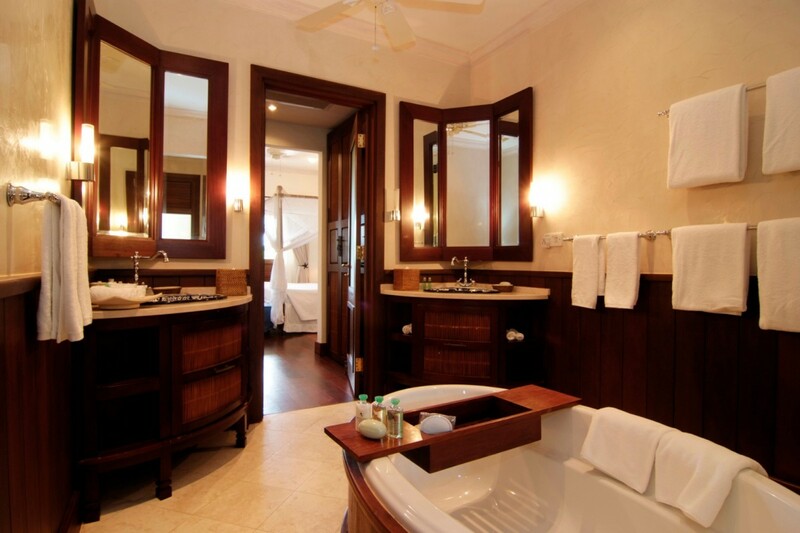 The other is a double suite also with terrace and private bath. Clearly, the villa is a wonderful little world of its own, but its delights do not end there. 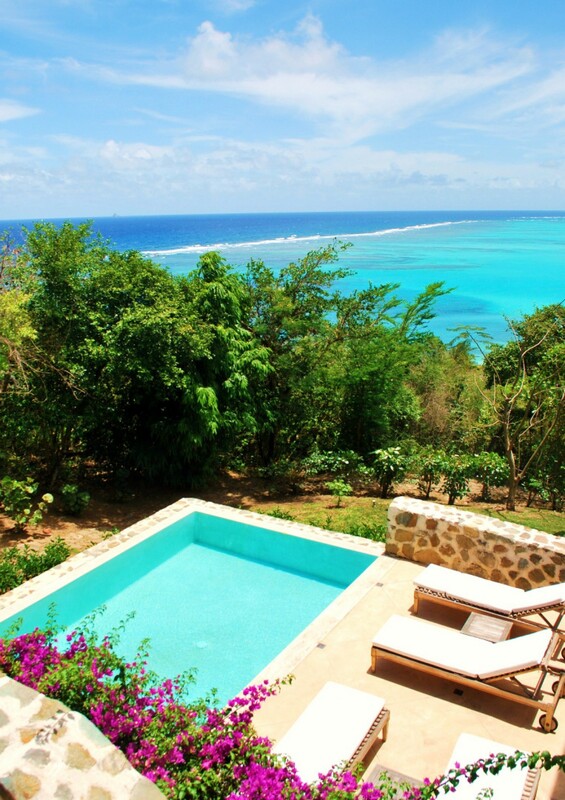 This is because visitors also have full access to the world class services and facilities at The Pink Sand Club Hotel and the Canouan Estate. 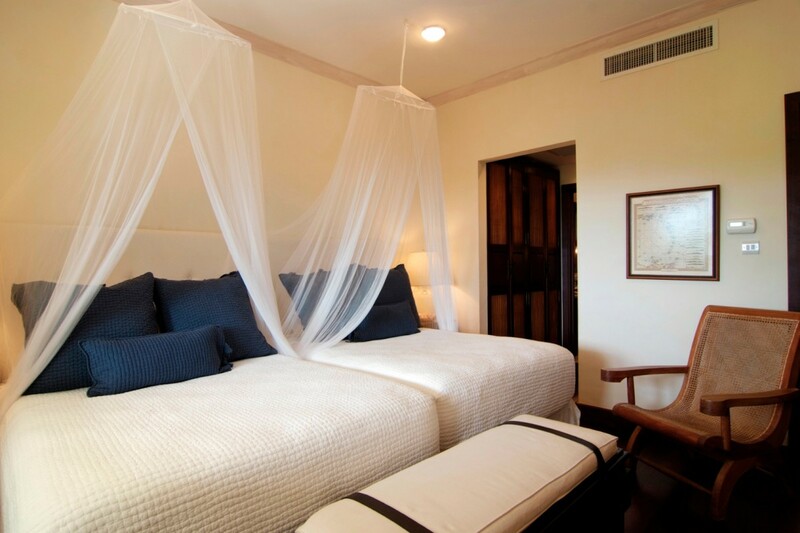 Villa Elsewhere is ideal as a honeymoon spot, family getaway or a place for friends to rewind and relax. 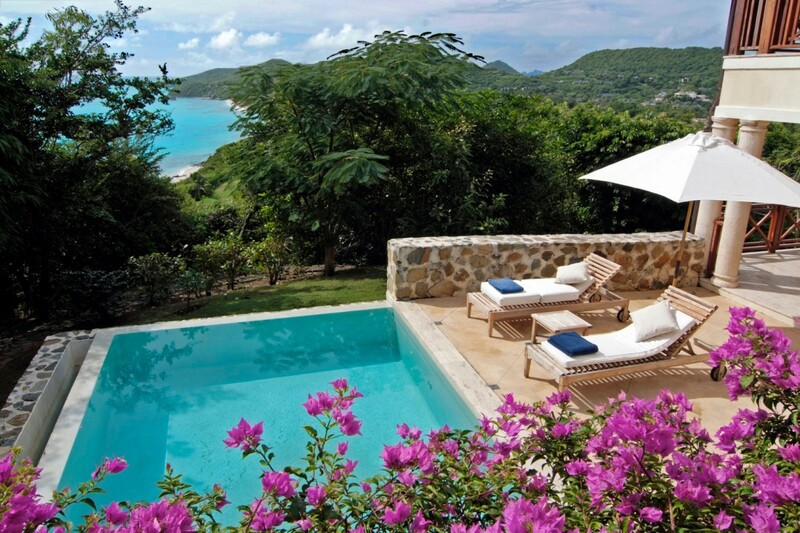 Villa Elsewhere has a full access to The Pink Sand Club Hotel and the Canouan Estate. Bedroom 1: Master bedroom with a king-size bed, A/C, ceiling fan, TV, safe, telephone, office area, walk-in closet, private terrace and en-suite bathroom with bathtub, shower, double vanity and WC. 2 guests maximum.